Bellmore, New York, USA. August 24, 2018. 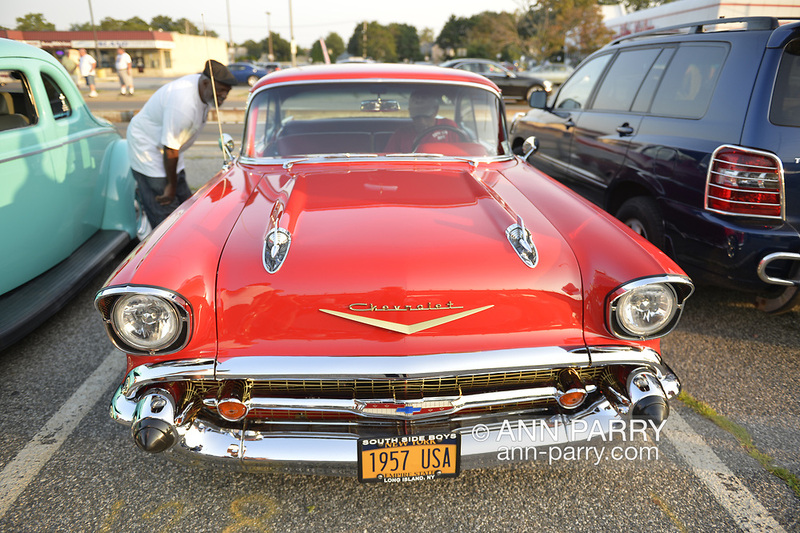 Visitors at left finish taking close look at red 1957 Chevrolet Bel Air at Bellmore Friday Night Car Show, and its owner opens driver’s door, to relocate car across lane.